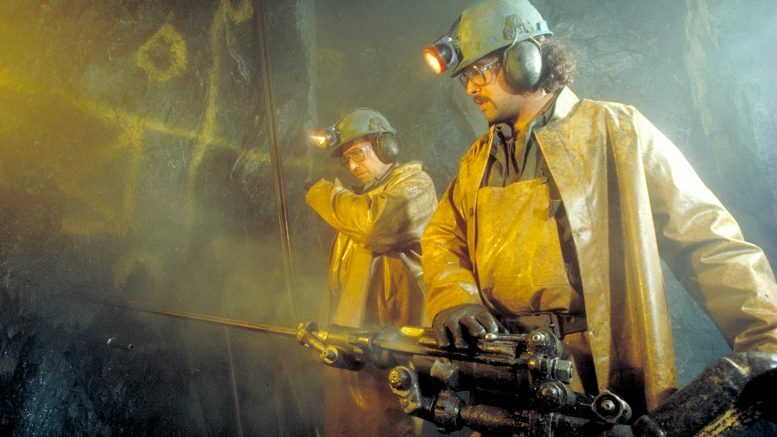 Miners at American Barrick Resources's Camflo gold mine in Quebec in 1984. Credit: Barrick Gold. I joined Barrick Petroleum in late 1982 in the middle of a recession. At that time, Barrick was a private oil and gas company called Barrick Petroleum, which was thinly capitalized. After a few years at Barrick, I became a director and executive vice-president of corporate finance, and my responsibilities were acquisitions and financings. It was hard going into the oil and gas sector and Peter made a strategic decision that gold as an asset class offered huge potential, and that gold in the ground was more valuable than gold bullion. No one at Barrick knew anything about gold mining, so it’s a pretty extraordinary success story to think that Peter could take a tiny company that had started out as an oil and gas explorer and move into gold — not knowing anything about gold mining — and become the largest and most successful gold mining company in the world. It takes a special person to do that, which Peter was. Why was Peter so extraordinary? He was a visionary who knew how to motivate people and he was incredibly infectious and effective in doing so. His biggest attribute was his ability to create a culture of aggressive, success-oriented management. Everybody who showed up to work did whatever they could to succeed and they didn’t view it as a job. He was a great motivator for all of Barrick’s executives, and his ability to motivate people and drive results is what really created this company out of nowhere. 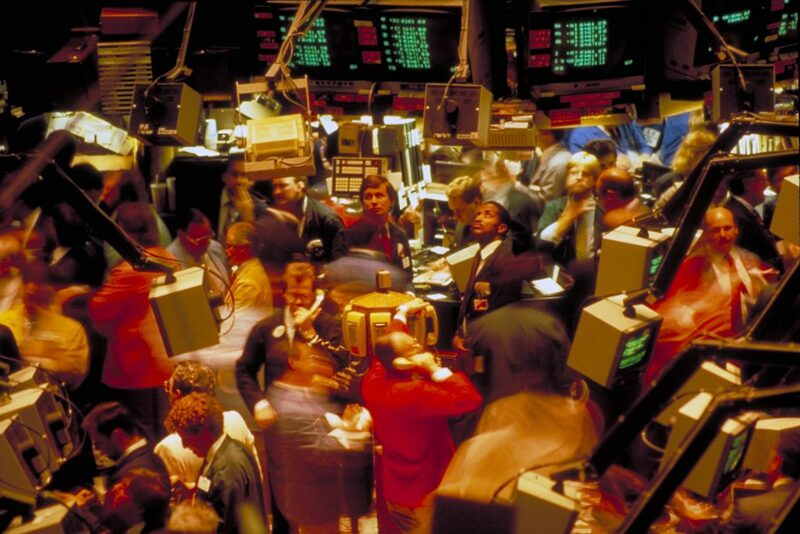 American Barrick Resources’ Toronto Stock Exchange listing in 1983. Credit: Barrick Gold. 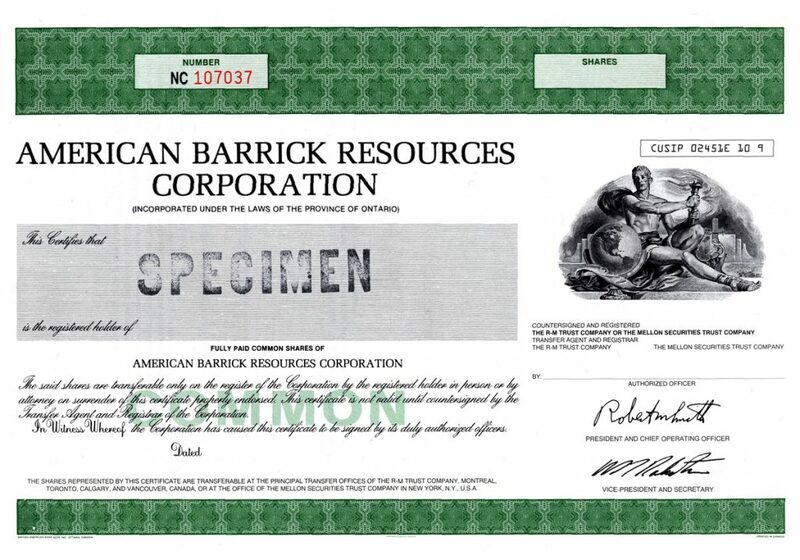 Specimen stock certificate from American Barrick Resources’ listing on the Toronto Stock Exchange in 1983. Credit: Barrick Gold. Peter was also an incredible networker and had contacts at high levels all over the world, including with Middle Eastern institutions and leaders in the Middle East, as well as with international bankers and institutions in London, Singapore and Hong Kong, whereas the leading North American gold mining companies at the time were largely insular and mostly focused on North America. The major established North American-listed gold companies during that time were very staid, set in their ways, and were growing largely through project expansion in Canada and the United States: Homestake, Echo Bay, Placer Development, Dome Mines, Campbell Red Lake and Newmont, as well as some juniors. By contrast, the established South African gold producers provided healthy and steady dividends, were listed in London and South Africa, and were heavily institutionally owned as traditional gold investment exposure. Against this entrenched competition, for Peter to create the largest gold mining company out of really nothing, is a testament to his character and his ability. When he conceptualized Barrick becoming a gold miner, he had a number of themes that he would drive home. One was that you can’t build an insurance policy on a volcano — an analogy to the precarious state of the gold mining industry and the apartheid regime in South Africa. It was a view that turned out to be prophetic. Another theme was that gold had the distinct attribute that there was no marketing risk, so as long as you controlled costs, it was a winning investment. He was also of the view that the only limitation to becoming the largest gold producer in the world was the constraint of one’s imagination, and he had plenty of imagination. The fact that Peter had not cut his business career in mining was a major plus, because he was not tied to traditional thinking about what you paid for a gold mine, how you produced gold, how you financed it and how you sold the gold produced. He always felt that if the prize was worth it — pay up. 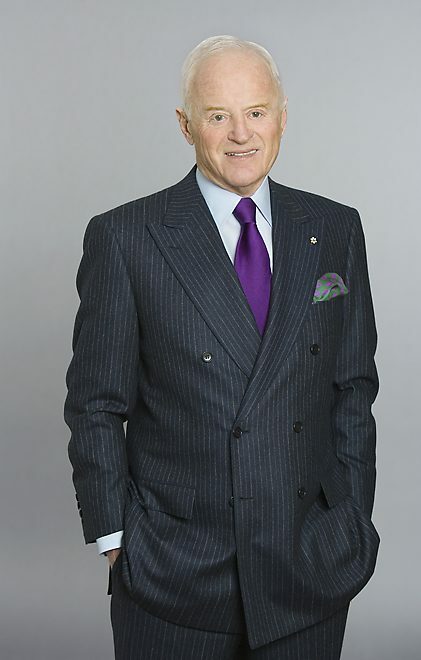 With his non-traditional thinking, Barrick financed its growth through novel financing techniques, including royalty financings, creative and aggressive hedging, gold loans and Eurobonds, putting the company on the forefront of innovative finance techniques to fund its growth. As Barrick evolved and became a stock market darling it had a superior market multiple to other less aggressive gold mining companies, and was able to use the international capital markets to fund its growth like no other mining company during its formative stages. However, the early days of Barrick’s transition, acquisitions and growth were not easy. Barrick’s executive team was driven to succeed by Peter and no task he set seemed too hard. We were driven to believe that while the difficult took a few days, the impossible took a few days longer. Barrick’s venture into gold mining got off to a slow start with the acquisition of a placer deposit in Alaska called Valdez Creek, which predictably went nowhere. The next acquisition was the Renabie mine near Wawa, which was a former producer. While never a successful mine, it was in many ways the key to Barrick’s success. The acquisition was undertaken as a joint venture with a mining company controlled by Ned Goodman, called Cullaton Lake Gold Mine. To finance the acquisition, Barrick invented a novel, publicly quoted gold royalty instrument called the Barrick Cullaton Gold Royalty Trust, which provided investors with a royalty on production from the Renabie mine. The royalty trust would become the key to funding the acquisition of Camflo Mines, which became the foundation of Barrick’s future success. Camflo Mines was an old line Canadian mining company controlled by the Fasken family, which had become a diversified mining company with interests in operating mining investments, including gold, coal, geothermal energy, oil and gas, and other mineral properties. Camflo had a top-notch mine operating team headed by Bob Smith that could evaluate, develop and operate the future gold mines that Barrick would acquire, so it was a strategic acquisition. However, Camflo had $80 million in debt, and was in the hands and grip of the workout department of the Royal Bank of Canada in Montreal. It was difficult to get an agreement on the acquisition of Camflo because Barrick was an upstart with marginal gold assets, and as a newcomer, it was hard for a quality company as established as Camflo to get an agreement to a merger. However, Peter’s vision, and his ability to finance growth, pay down Camflo’s debt and drive the merged company forward, resulted in a successful transaction and agreement from the majority shareholders of Camflo, as well as the Royal Bank — not an easy task. No one but Peter could have pulled that off. While Camflo had a top-notch mining team, the merged company would not survive without eliminating the huge debt burden that came with the acquisition, and Barrick and Peter were just starting to gain credibility in international equity markets. To cope with Camflo’s debt load, the earlier novel financing techniques were once again used and Barrick launched the $40-million Gold Royalty Trust with Prudential Bache to pay down Camflo’s debt, and combined with the sale of surplus assets, the debt was effectively eliminated. 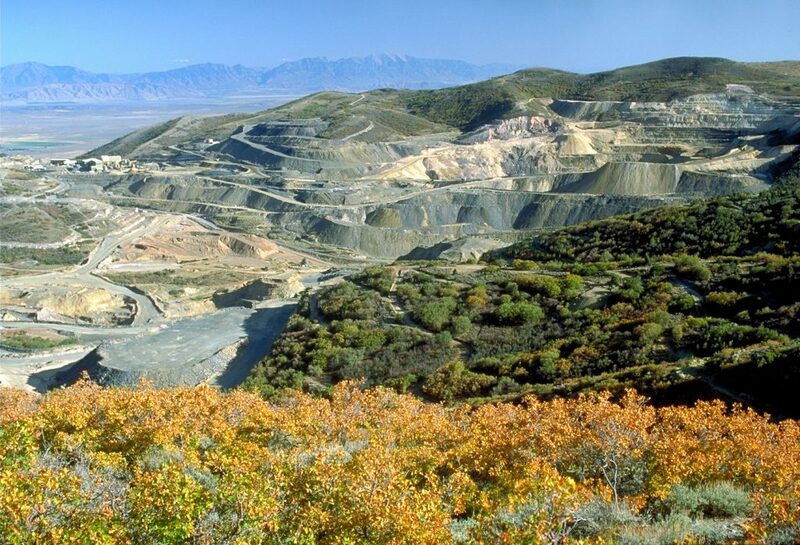 Still, Barrick had sold off many of Camflo’s assets, and was not flush with cash when its next major acquisition opportunity came, with the attempted sale of the Mercur mine in Utah by Texaco. The Mercur mine had a terrible reputation in the industry, as it had been widely exposed without a credible bid. It was gold plated by the former owner, Getty Oil, where over $100 million was spent on construction. And in spite of a lack of liquidity in Barrick at the time, through the persuasiveness of Peter, Barrick acquired the mine from Texaco. To fund the acquisition and development, Barrick used an equity raise and debt package with the Bank of America, and other off-balance-sheet funding techniques. American Barrick Resources’ Mercur gold mine in Utah in 1985. Credit; Barrick Gold. 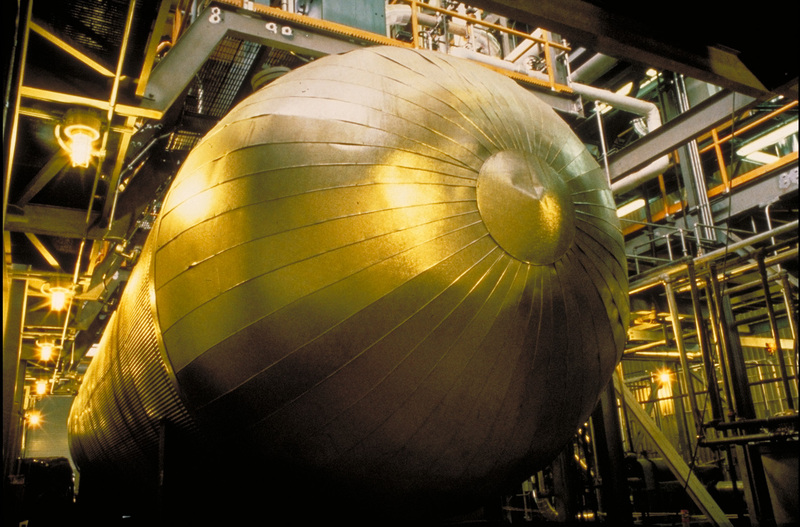 The autoclave at American Barrick Resources’ Mercur gold mine in Utah in 1988. Credit: Barrick Gold. With the Mercur mine acquisition Barrick suddenly became a stock market darling, and Peter drove management as hard as he could to not only operate its key mining assets effectively, but also market the Barrick story. I remember vividly that the London investment community was being converted to Barrick’s story when the leading mining broker in the U.K. at the time, James Capel, published a report calling Barrick the ugly duckling that had become the beautiful swan. Peter was a marketing genius and Barrick reached its marketing goals. Backed by James Capel and other leading financial institutions in London, Peter ventured where no other North American mining company had ventured before. He made an audacious attempt to get control of Consgold, a venerable South African gold mining company with direct and indirect control of a stable of the highest quality South African gold mining assets; a 26% interest in Newmont Mining; and two major gold development projects in the U.S., which Barrick coveted, amongst other prized assets. How in the world could Barrick — with a $200-million market capitalization — do the unthinkable and attempt to acquire Consgold, which had a market cap well in excess of $1 billion at the time? Only Peter could have done this, and once again, Barrick used novel financing techniques. He floated a gold bond in Europe and raised equity to bump up its cash reserves to over $100 million by the fall of 1986. Barrick’s stake was declared to the market and Consgold brought in the U.K.’s Department of Trade and Industry, which halted Peter’s attempt to get control of Consgold and try to break it up. But Barrick became a company on the world stage as a result of Peter’s bold attempt, which was, in reality, incredible. Just as the Consgold chapter was ending, Barrick acquired Goldstrike in two transactions. Crazy as it seems today, BMO was marketing 50% of the asset in the range of $25 million and there were no takers. Bob Smith and the conservative Barrick mining team were hesitant, as it was being operated as a small heap-leach operation, and was owned by a construction company out of Minnesota. 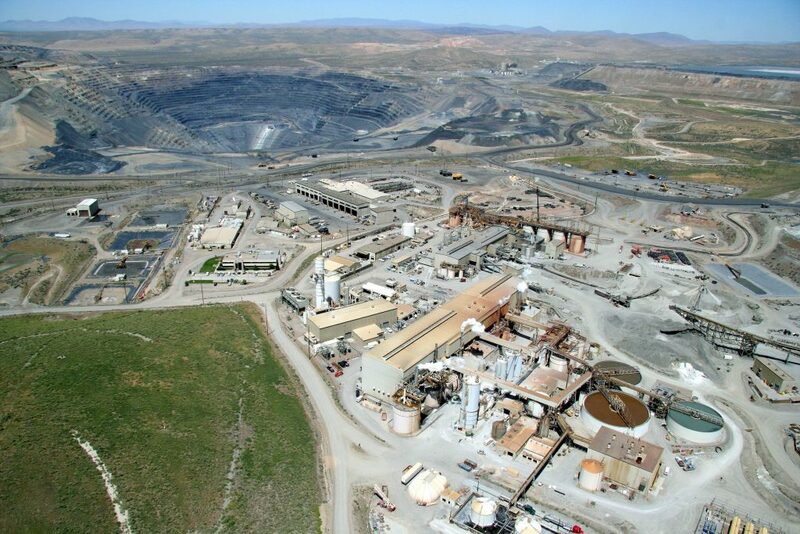 Barrick Gold’s Goldstrike gold mine in Nevada in 2006. Credit: Barrick Gold. However, Peter, being the visionary that he was, pushed his mining team to support the acquisition believing that growth through acquisition was the key to becoming an industry leader. The second 50% was acquired from PanCana for a total $60-million cost between the two assets, which became worth tens of billions of dollars years later, as the mines were developed. Peter supported and drove his mining and finance team to excel. He made others feel like they were the most important people in the world. All of his key executives — from the time they woke up in the morning to the time they went to bed — ate, breathed and slept American Barrick, as it was called at that time. Peter Munk in his later years. Credit: Barrick Gold. He incentivized his executives with stock options and made everyone owners. He wanted to share the wealth. This was one of the keys to his success, creating a dedicated and motivated management team. My fondest memory was being called into his dimly lit office at 24 Hazelton Avenue, which was sleekly decorated in grey silk wall coverings. He would get up close in a very touchy-feely way like a father to his son, and when you left his office you wanted to do anything in your power to help Peter and Barrick succeed. When I left to go on my own in 1987, I knew that Barrick would become the largest gold company in the world under his leadership and control. No one else could operate on the world stage like he did. Peter was like a father to me and many other executives at Barrick. There isn’t a week that goes by without thinking about Peter and what he has done for me and so many others. Commentary: What’s the best way to value mineral exploration properties? Be the first to comment on "Commentary: Stephen Dattels on friend and former colleague Peter Munk"